My Mom suggested this recipe for the blog. It comes from one of our favorite cookbooks, Candlelight and Wisteria. She said it was THE VERY BEST banana nut bread recipe. How could I not give it a try with a name like that?!?! Well, she was right. 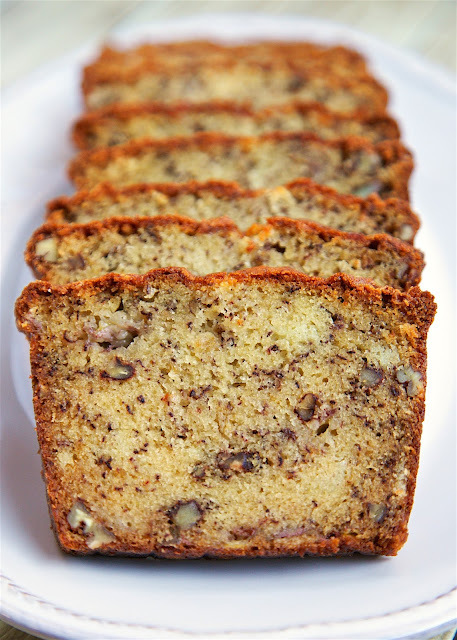 This was really, really good banana nut bread. So easy to make and it tasted fantastic. I love to eat a slice of this for breakfast or an afternoon pick me up. Actually, it is really good anytime of the day. LOL! In the bowl of an electric mixer, mix together butter and sugar until light and fluffy. Add eggs, mixing well. Add flour and salt. Add buttermilk mixture and beat. 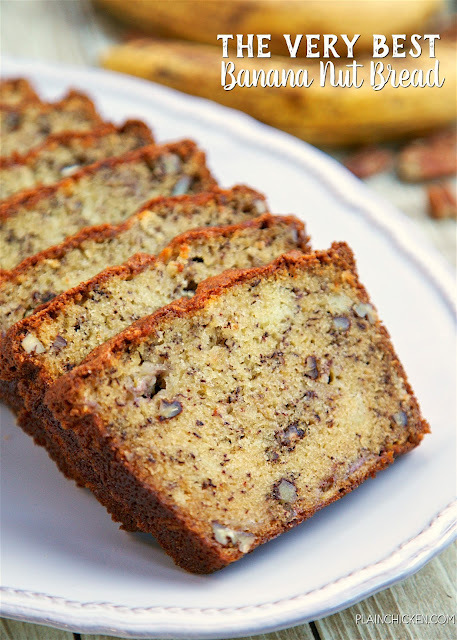 Mix in bananas and pecans. Pour into prepared pan. Every time I make this, the flavor is fabulous, but it sticks to the bottom of my pan...HELP!!!! Try spraying your pan with Pam with Flour Baking Spray or Bakers Magic. You can also line the pan with some parchment paper. I have a Williams-Sonoma Goldtouch Bread Pan that is amazing. Nothing ever sticks to it. I highly recommend it! Thank you so much for your quick reply! I love this recipe and want to take it to family/church functions, but couldn't because by the time I got it out of the pan, it looked awful! I'll check into that pan. Thank you again!